Ocean County Armed Bank Robbery in Broad Daylight? While it is common to view a day time robbery depicted in a movie or on TV, it is rare that one actually occurs, especially in Ocean County NJ. Fiction became reality on Monday, however, when two armed men walked into PNC Bank in Brick Township and held up a teller. It is unclear as to the amount of the theft but a reward of $25,000 as been offered. From the defense perspective, a bank robbery can be quite complicated. The primary complicating factor is that federal banking law comes into play and so too, involvement of the Federal Bureau of Investigation (“FBI”) and possibly the United States Attorneys Office. In this particular case, the Red Bank office of the FBI is involved. Robbery in a setting such as this is typically a First Degree Crime punishable by 10 to 20 years in prison. However, Federal Law imposes a host of other penalties that can result in even stiffer sanctions in the event that the case is selected for prosecution as a federal case. Robbery charges are always very serious matters, and should be handled by an experienced attorney from the onset. 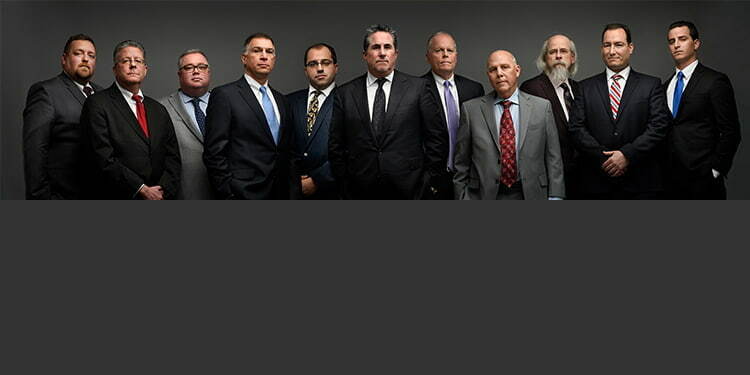 Our defense team consists of seven experienced criminal defense attorneys, with three former prosecutors on staff, two of whom served as prosecutors within Ocean County. Contact our firm today at (732) 286-6500 if you need a defense lawyer for robbery or other theft charges in Ocean County.